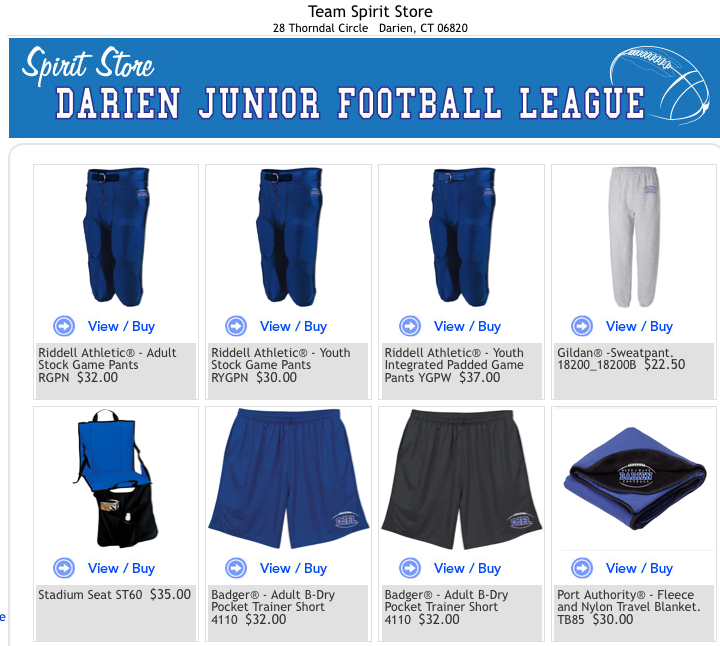 The Darien Junior Football League board is pleased to announce our partnership with I-Town Stores located right here in Darien. 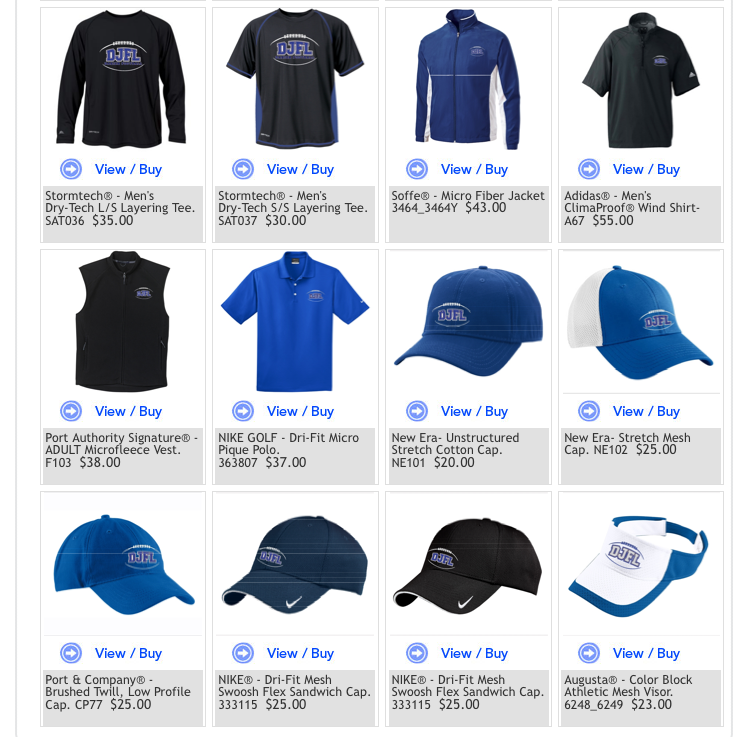 Through the I-Town website, www.itownstore.com, and a link provided on our website, www.djfl.org (click on the menu item "I-Town Store" from the Home Page, you will now be able to purchase official DJFL merchandise. 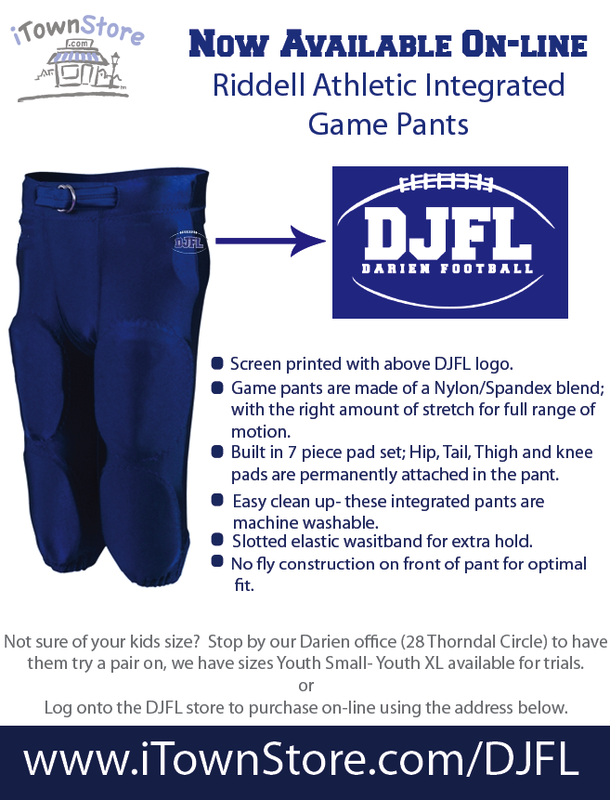 Included on the website will be the option to purchase integrated or non-integrated football pants with the DJFL logo on the hip, as well as wicking t-shirts, cotton tees, shorts and hats. 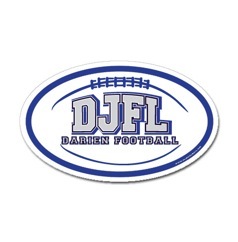 This is a great way to show our DJFL pride around town. 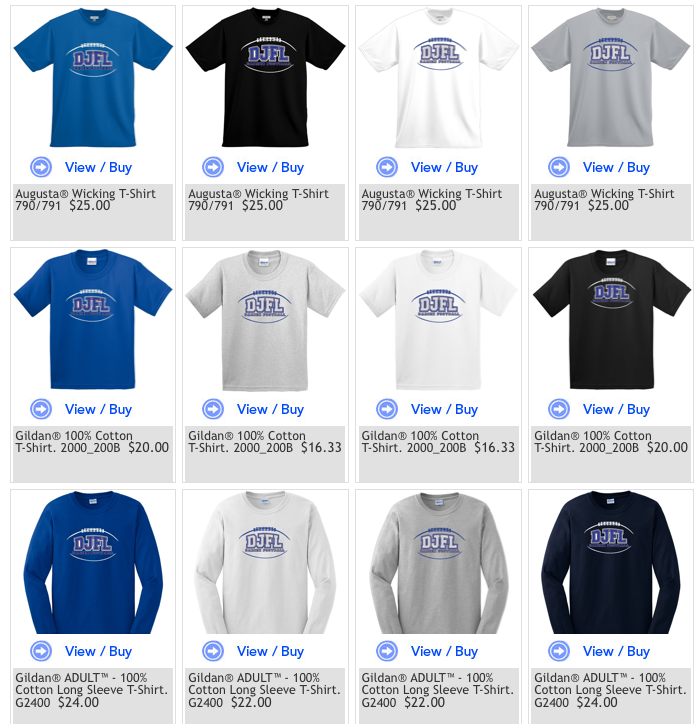 Five percent of all proceeds will go directly to the DJFL.